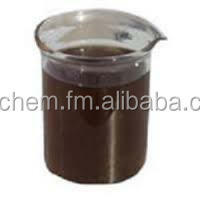 High Performance AE water reducing agent. 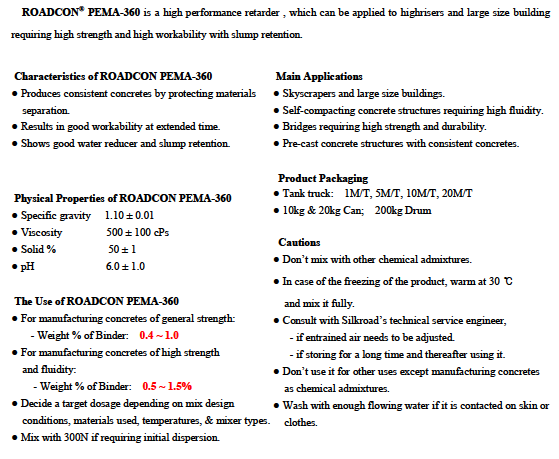 building requiring high strength and high fluidity concretes. Skyscrapers and large size buildings. 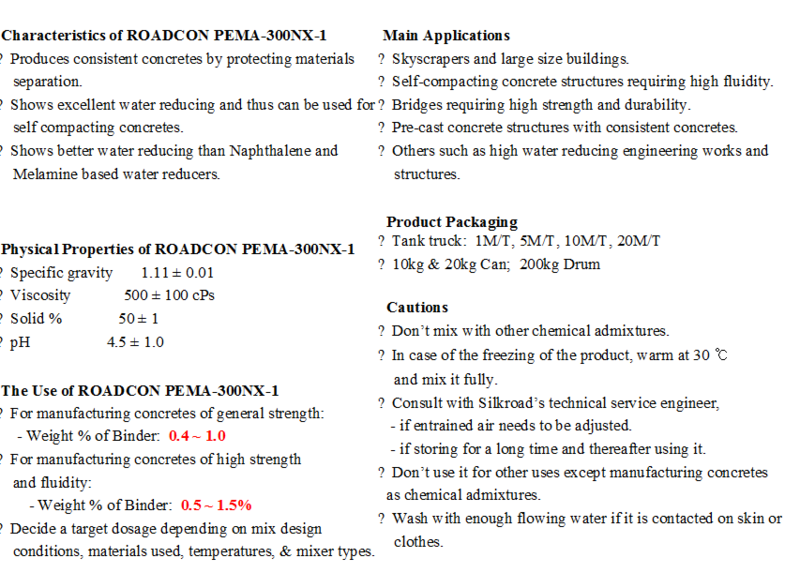 Self-compacting concrete structures requiring high fluidity. Bridges requiring high strength and durability. Pre-cast concrete structures with consistent concretes. 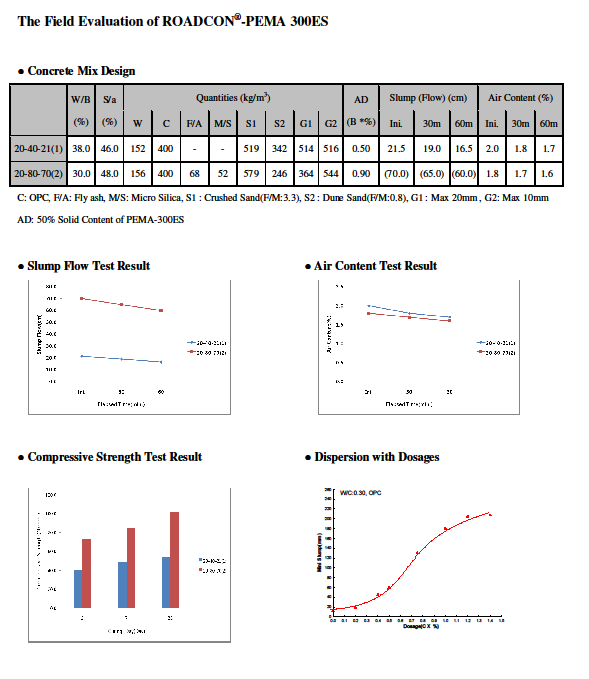 requiring high strength and high workability with slump retention. Results in good workability at extended time. condition, and the same pace of construction as in hot weather. 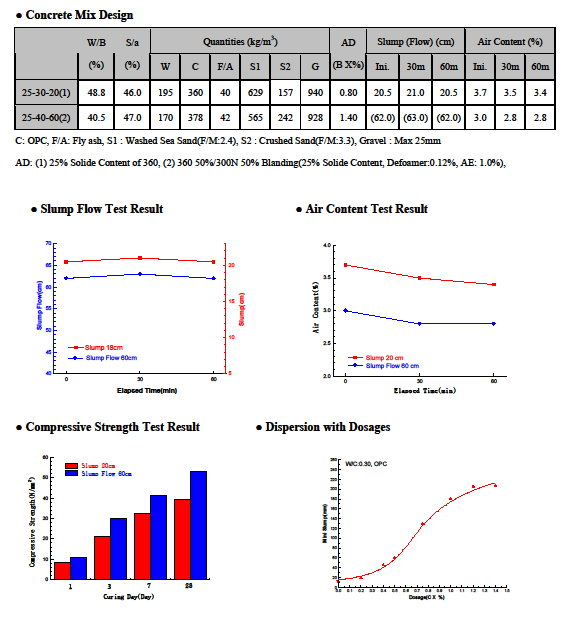 Results in good strength at low temperature. 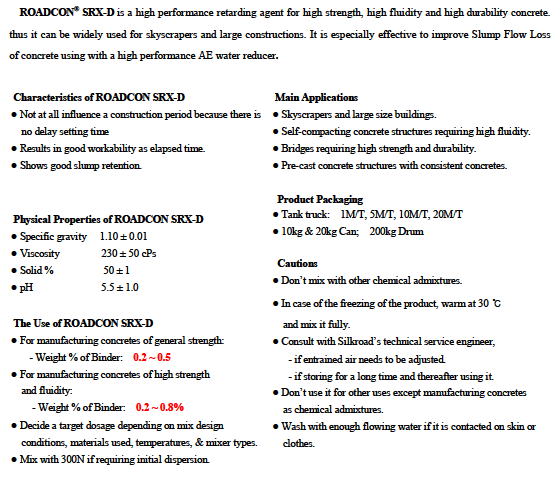 ROADCON® SRX-D is a high performance retarding agent for high strength, high fluidity and high durability concrete. 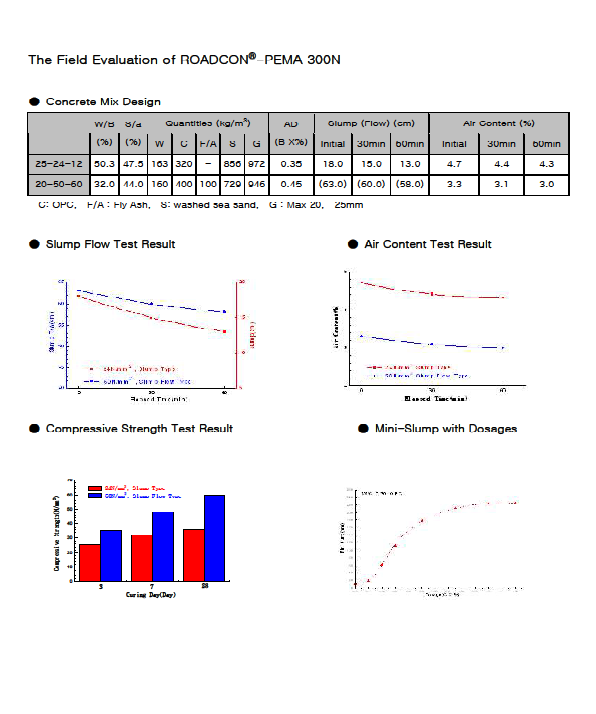 of concrete using with a high performance AE water reducer. 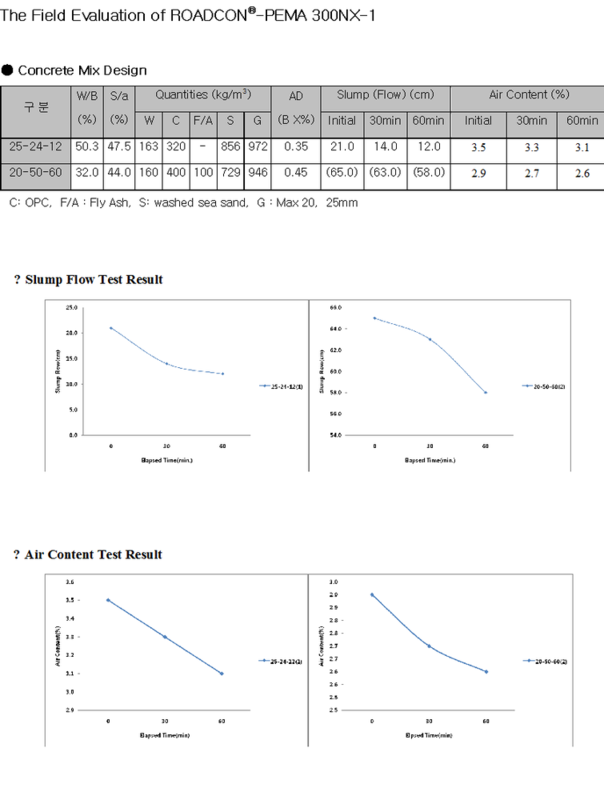 Results in good workability as elapsed time. 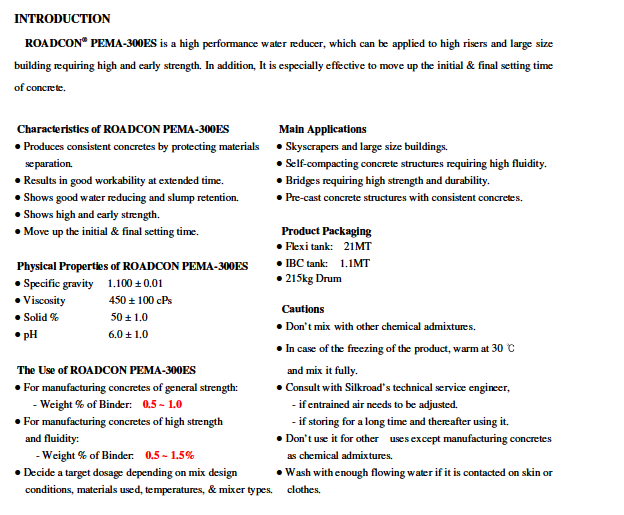 ROADCON® PEMA-300ES is a high performance water reducer, which can be applied to high risers and large size building requiring high and early strength. In addition, It is especially effective to move up the initial & final setting time of concrete. Shows good water reducing and slump retention. 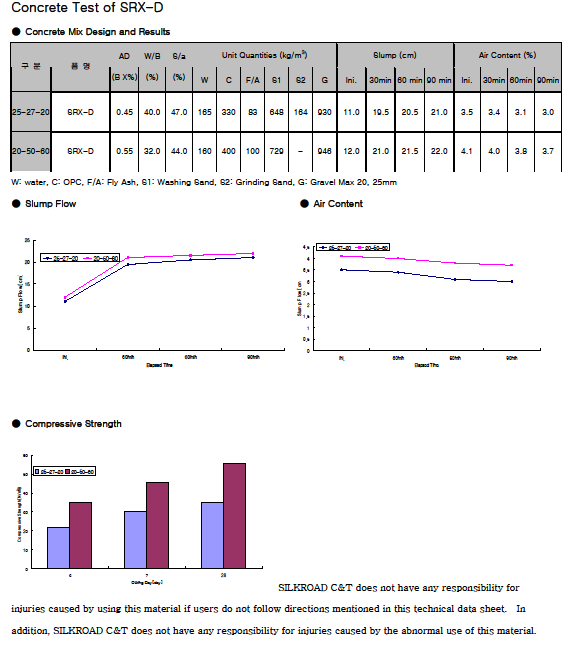 Shows high and early strength. Move up the initial & final setting time. Don’t mix with other chemical admixtures. In case of the freezing of the product, warm at 30℃ and mix it fully. - if entrained air needs to be adjusted. - if storing for a long time and thereafter using it. 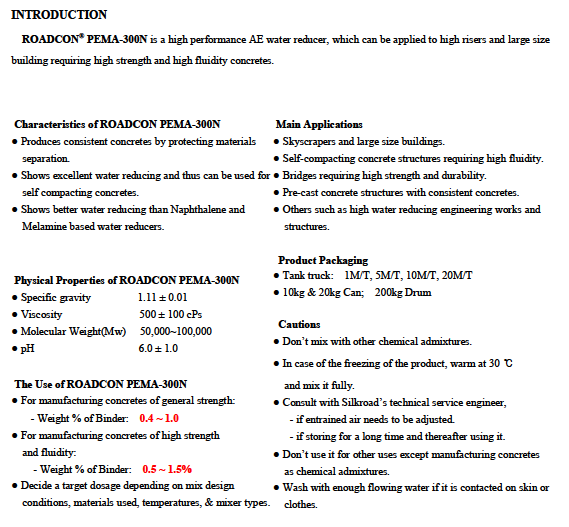 Don’t use it for other uses except manufacturing concretes as chemical admixtures. Wash with enough flowing water if it is contacted on skin or clothes.